Ear Infections: What? How? and Who? Otitis externa: Inflammation of the ear canal that can be caused by a variety of factors. Most commonly, the cause of ear infections in dogs and cats are allergies, an overgrowth of bacteria/fungal cells, or a combination of both. 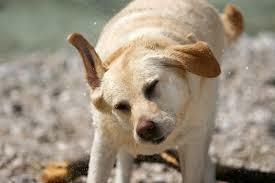 Ear mites rarely cause ear infections in dogs. However, in cats they can be more of a concern, especially in cats that are outdoors and exposed to stray cats. 1. It is important to first schedule an appointment with your veterinarian, so that the cause of the ear infection can be determined. This allows the veterinarian to decide the proper form of treatment for your pet. 2. After the cause is determined, the veterinarian will form a treatment plan that may include any or several of the following: daily ear drops, oral medication, ear cleaning, a one-time ear treatment applied by the veterinarian. 3. Follow the treatment exactly as prescribed by your veterinarian. 4. A follow-up appointment should be made 3-4 weeks after treatment to ensure your pet's ear infection is resolved. This appointment is important, even if you believe your pet is 100% normal, to ensure the cause of the ear infection is under control. It can sometimes take multiple rounds of treatments or even changing treatments to clear up some infections. 5. 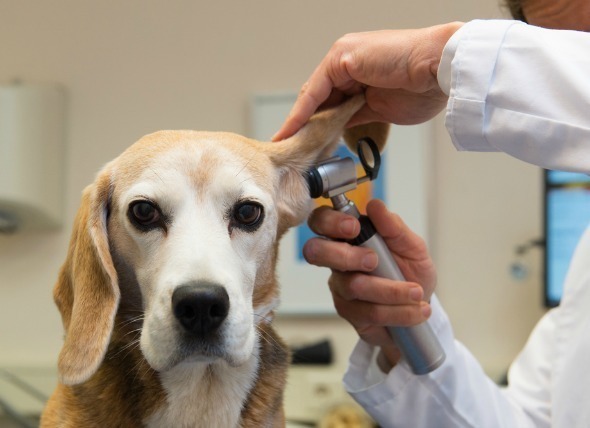 Prevent reoccurring ear infections by consulting with your veterinarian about any underlying condition(s) that may be causing the ear infections. Pets with allergies need to have the allergies controlled by medication or allergy elimination. Pets with bacteria/fungal overgrowth may need their ears cleaned once weekly or every other week with a medicated ear cleanser. Pets with ear mites should be kept separate from other pets until treatment is completed to prevent spreading to other pets.